Once again, it’s time to break out whatever camera equipment —smartphone, laptop, GoPro, DSLR, etc.— you’ve got, because we here at QuiBids want to know what you do with the great products you win! We’ve teamed up with PennyBurners for our summer video contest, which is all about how you use the stuff you buy from us! We’ve heard all kinds of crazy stories on customer support calls, emails, and through social media about how our customers use gas cards to pay for cross-country road trips, furniture to fill their first home, and even build a fish tank with home and garden and gift card purchases. Pennyburners was nice enough to put together this video explaining how to enter. The winner receives an iPad 3 and a $100 gift card of their choice, so pay close attention! CLICK HERE TO ENTER TO WIN THE NEW IPAD AND A $100 GIFT CARD! 1. 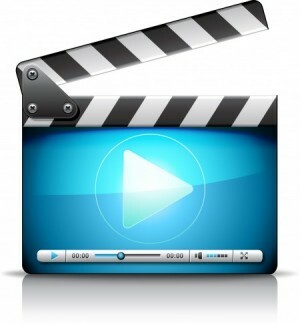 Your video may not last more than 60 seconds. -What you won with QuiBids. -What you do with your wins. 3. You must submit your entry at the What Do You Do with Your QuiBids Wins? app at the QuiBids Facebook page. Now we’re certainly not expecting Avatar-level graphic production (or even something so ambitious as to require a clapperboard), but our three QuiBids judges will be looking for originality and clarity with these videos. Here are a few recommendations for producing a clear, fun video that’ll stand out from the pack! 1. Be sure your video is well-lit. We want to be able to see our customers’ beautiful faces! 2. Try to turn off anything that could make noise while you’re shooting your video, like an especially loud air conditioner or fan. You might even consider putting your phone on silent. Especially if you’re shooting your video with it. 3. Show, don’t tell. It’s the oldest rule of storytelling. If you can clearly show us what you win on QuiBids by using it, then you’ve got yourself a winner. 4. Try your hand at narrative. We promise, sixty seconds is more than enough time to introduce a character and a conflict he/she/it faces, and resolve it. It makes for a more-fun video, too! Good luck, QuiBidders! And as always, happy bidding!